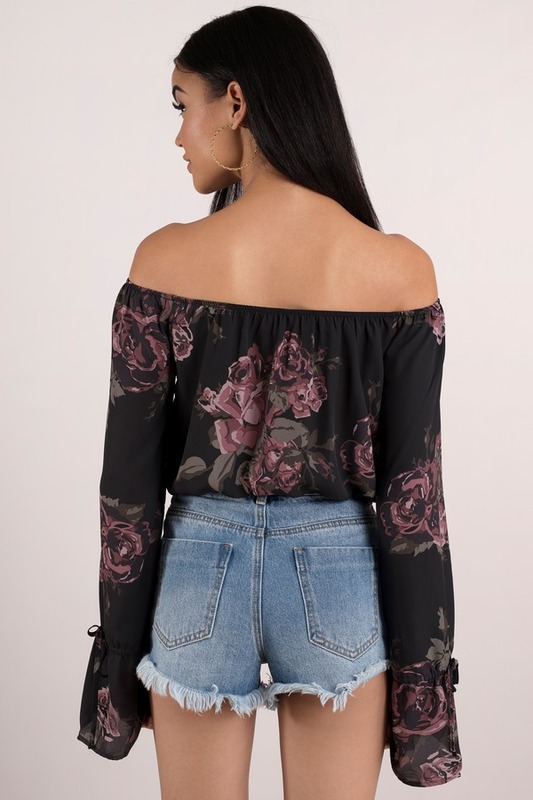 Check out Tobi's Roses Off Shoulder Floral Print Top Turn heads in the Spring For It Off Shoulder Floral Print Top. Featuring an off shoulder neckline with a cropped bodice and ties at the sleeves. 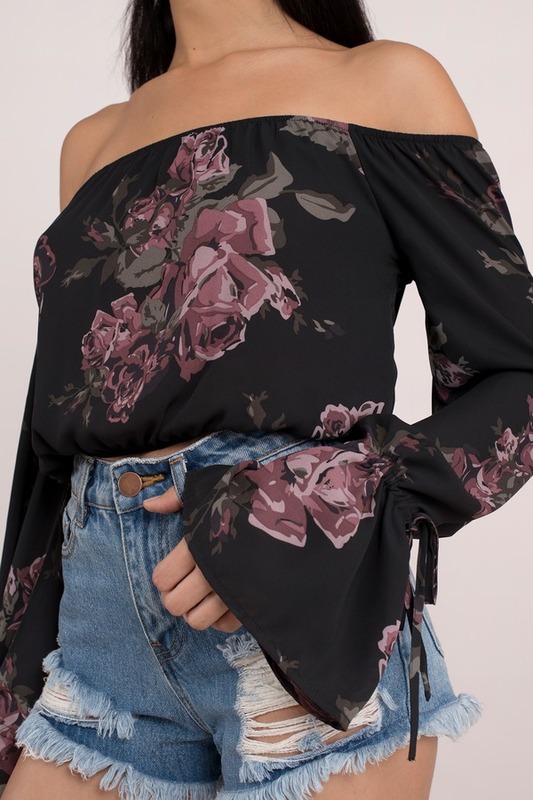 Pair this top with a distressed denim shorts and booties. 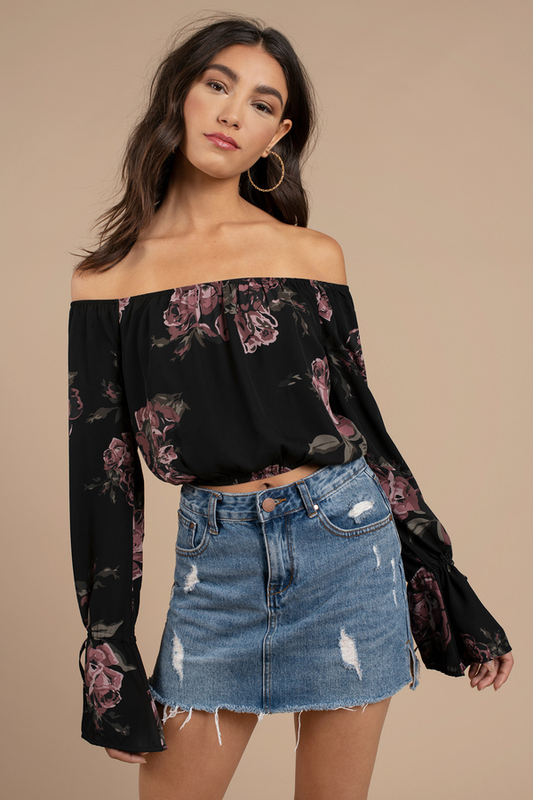 Turn heads in the Spring For It Off Shoulder Floral Print Top. Featuring an off shoulder neckline with a cropped bodice and ties at the sleeves. 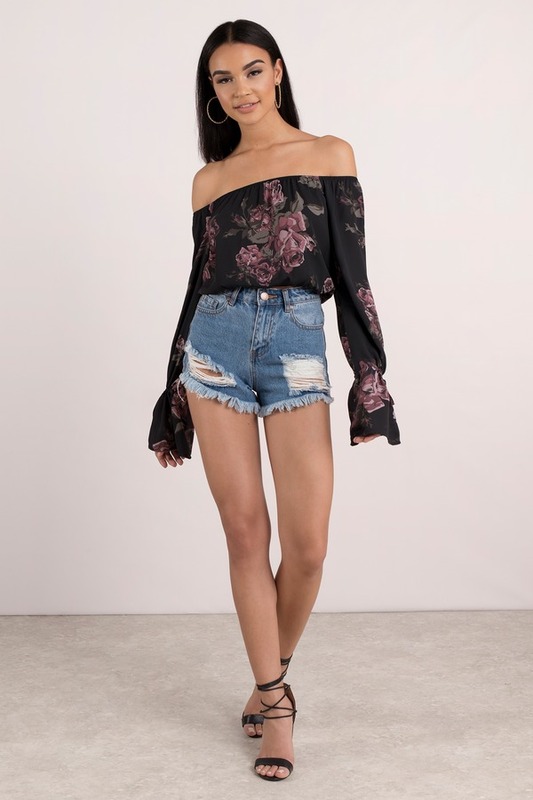 Pair this top with a distressed denim shorts and booties.